We’re excited to announce that Derek Landy, the author of the brilliant Skulduggery Pleasant series, is coming to Christchurch on Thursday 2 October. 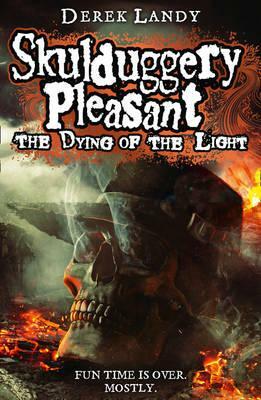 Derek is coming to promote the release of the final Skulduggery Pleasant book, The Dying of the Light, at the Riccarton Primary School hall at 5:30pm on Thursday 2 October. Not only will you have the chance to get your books signed, you can also hear him talk about his books and ask him your burning questions. There will also be the chance to win some awesome prizes for those who come dressed as their favourite Skulduggery character. In the lead up to Derek’s visit we’ll be featuring some videos of Derek talking about the ending of the series. You’ll also have the chance to win a copy of Armageddon Outta Here, the new Skulduggery Pleasant short story collection. For details about the event and to get tickets check out the poster below.